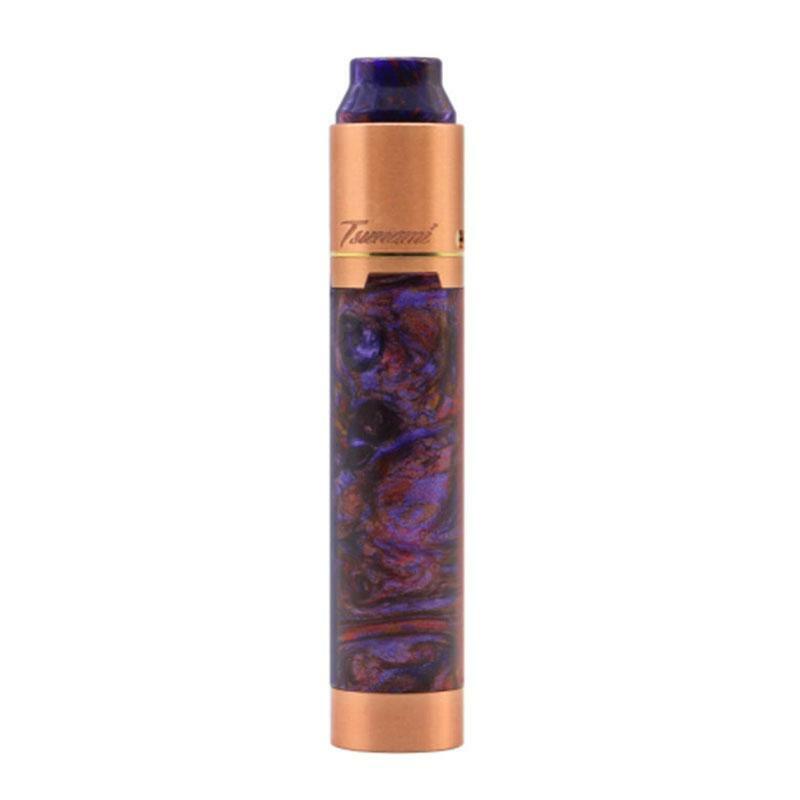 Tsunami Mech Kit comes with a Tsunami Pro RDA 25mm and a Black Ring Plus mech mod. The Black Ring Plus supports switchable between 510 mode to hybrid mode and interchangeable sleeve. The MECH MOD will eliminate battery rattle with the enhanced magnetic button. While the Tsunami Pro adopts large build deck for complex coils and adjustable airflow for both single and dual coil setup. Together with optimized airflow hole and staggered inner chamber, the Tsunami Mech brings superior vaping experience to you. 2. It doesn't include batteries. GeekVape Tsunami Mech Kit with Tsunami Pro RDA is actually fantastic. Many friends recommended this product to me, now i use it by myself, yes, really good product. Ich hab GeekVape Tsunami mach drei Tagen bekommen und muss sagen das ich es liebe. Es werden entsprechende Ersatzteile dazu geliefert falls etwas kaputt geht. Die Rauchentwicklung ist auch sehr gut. Ich kann nur 5 Sterne für das Produkt geben!